So, you want more leads for your real estate investing business? Or any business for that matter? Great. You know the easiest way to generate leads as a real estate investor? 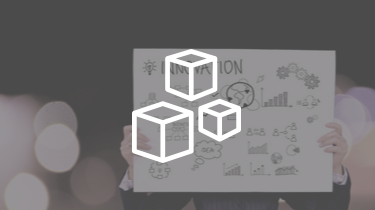 Offering something of value to your prospects for free… in exchange for their information. In this article, we’re going to talk about using free reports as a lead generation tool for motivated sellers, cash real estate buyers, private lenders, and more. A free report can be on anything that will help your prospect get closer to their goal… while at the same time build credibility for you and get you closer to a sale. Here are some topic ideas for free real estate investing reports you can use to generate leads online. 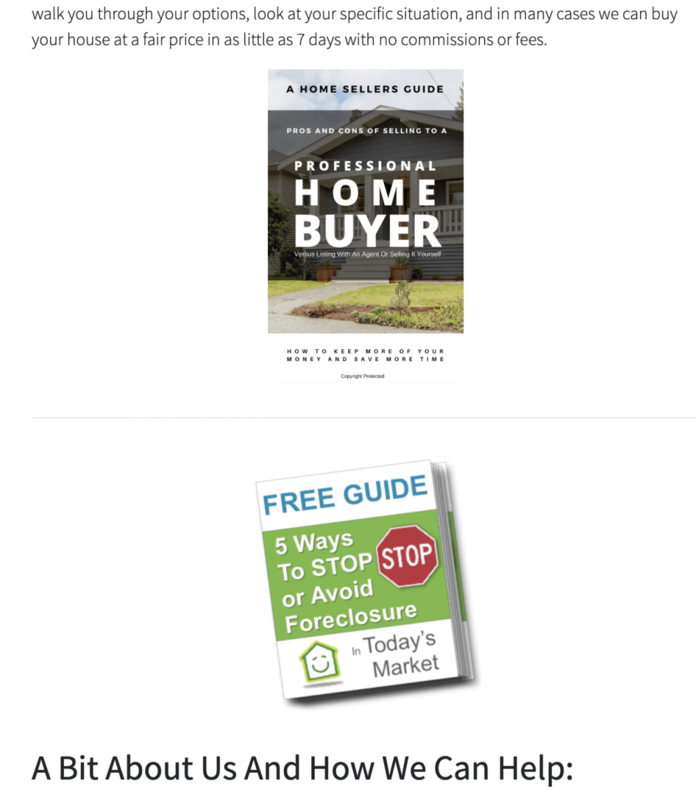 Why Sell To A Real Estate Investor? … those ideas are all geared to help the prospect get information on solving one specific problem. There are many many other topics you can write (or have someone else write) free reports on. You get the drift. Simple stuff… just good little guides that will help whoever you’re trying to attract get a bit closer to solving a problem or helping them reach a goal. Bear down and write them yourself: Really, they don’t have to be long… 2 – 10 pages is good enough. Anyone can write a 2 page report… right? Just create a report title, determine what you want that report to do for you (i.e. – get a seller to call you), then start doing some research on Google to come up w/ the content to write about… then write for a couple hours. Done. Hire someone to write the reports for you: You can go to websites like www.TextBroker.com, www.Guru.com, and others to have great content written for you pretty reasonably. A 5-page report on a topic like the ones we’ve lined out will probably only cost you about $50 – $100 or so for solid writing. If you want top shelf writing with good graphics… you’re probably looking no more than $200 – $300 or so. Pretty cheap in the whole scheme of things. What To Do With The Free Real Estate Lead Generation Reports When You Have Them? Get them on your website, in your email signatures, etc. Here are some examples of effective ways we’ve been generating leads with our free reports (and ones we’ve seen elsewhere that we know work well). Example #1: On their website, they put these 2 free reports on the page. 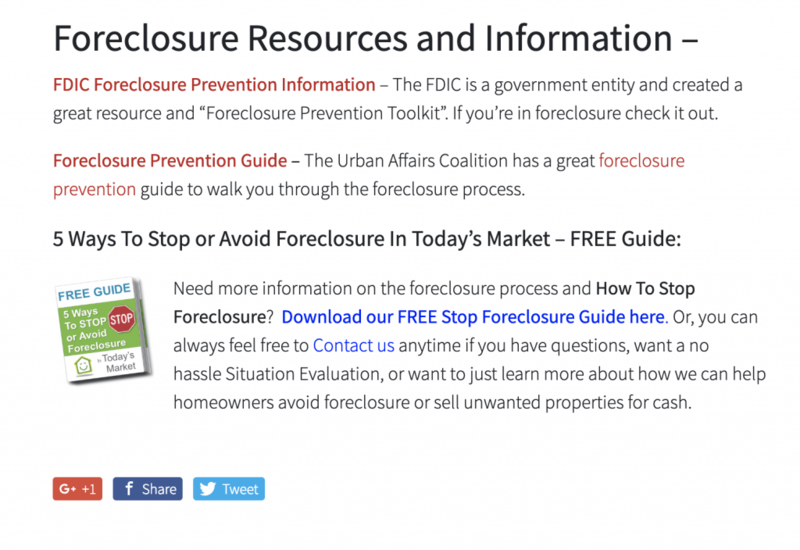 One is a home sellers guide and the other about ways to stop foreclosure. Simple enough eh? And it works great. Then, when people click on these they go to “Lead Pages” (some people call them Squeeze pages for real estate investing ). 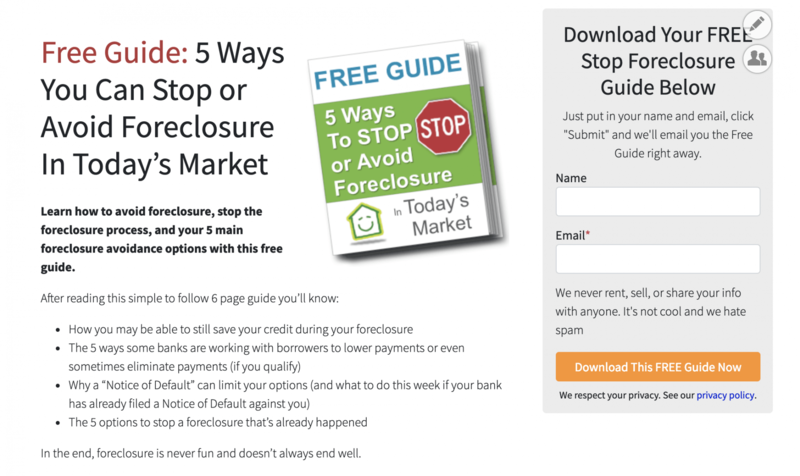 Example #2: A Squeeze Page (or we call them “Landing Pages” ) for Real Estate Investing. A page like this is where you’d drive people to once they click on a link to download your free report. These pages are the real key… they need to be designed to convert well. Keep them simple, keep them short, and the only goal of the page is to get someone to put in their email address in exchange for this valuable information. From there, they’re in your email database so you can follow up with them again. 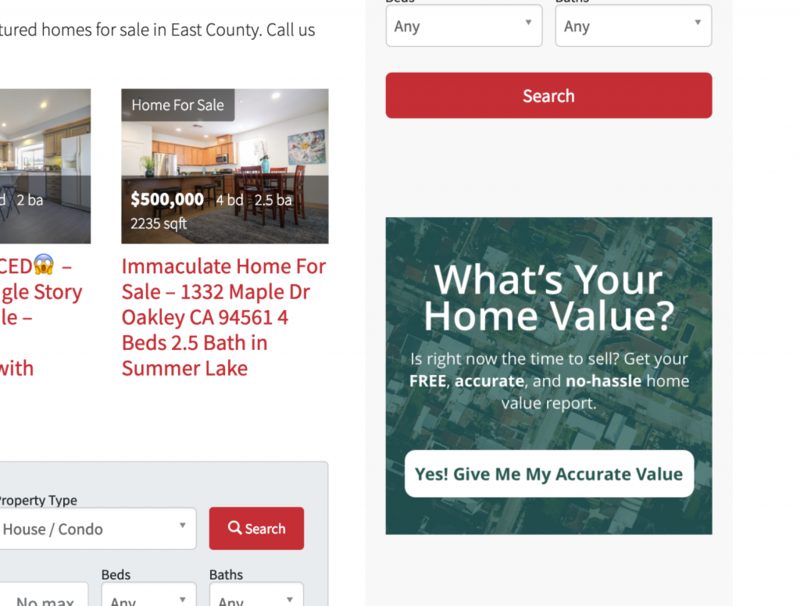 Example #3: Here’s an example on one of our AgentCarrot websites that drives people to opt-in to get a free home value report. Quick, simple… not a fancy design… but we’ve found designs like this tend to work very very well. Example #4: This is a really cool strategy that has worked really really well for us on all of our sites in multiple industries… including real estate investing. At the bottom of every page on your website you should have some sort of a call to action. 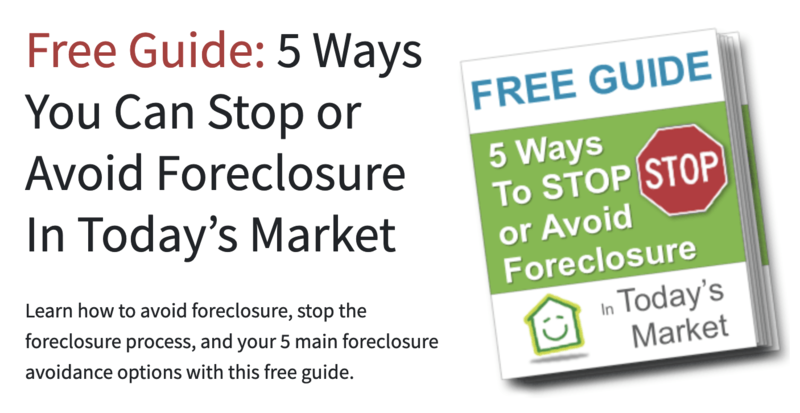 In this example, on the bottom of our “motivated seller sites”, this particular site focuses on “stop foreclosure”… we have a message offering our free report. This is VERY effective. 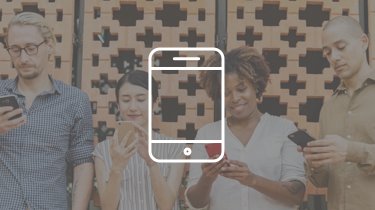 Build out your own, or of course… we have these built right into our Carrot platform for our members. What To Do Next To Get Leads Online For Your Real Estate Investing Business? So, now that you’ve seen some examples and samples of how to effectively use free reports for your real estate investing business… what do you do next? Take some of our topics above or create your own free report topics… and create your first free report in the next 7 days (or hire someone from guru.com or textbroker.com for cheap). OR, join Carrot and get our “done for you” reports, websites, and Lead Pages to use to generate more leads online. Get your website tweaked a bit to have 1 goal in mind, to generate leads… and close deals… that’s it. If a specific page on your site doesn’t actively drive people to take an action… add a free report link on it. Simple. Start driving traffic to your site. We teach our Carrot members how to drive traffic to your site… you can have the best site in the world… but if no one gets to it and reads it… it doesn’t mean a thing. So, learn how to drive traffic and start to generate leads with your new free reports. Have questions? Comments? 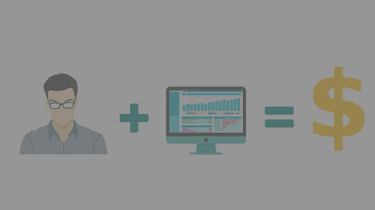 Want to see inside our free reports that our members use? Just make a comment below and we’ll email you some sample pdfs that you can check out that have worked really well to generate cash buyer leads, motivated seller leads, and private lender leads. I would like some samples of free reports for motivated sellers. Also, I would like to know is it possible to direct one of our squeeze pages to another website so they can read more info and watch videos? Hey Andrea, thanks for the comment! With the free reports currently we have 4 that our members can use. We actually don’t give the reports out to non members as those are our copyrighted materials and can’t give them out for free. Hope that helps! After you join the reports are automatically loaded into your site and hooked up the LeadPages will be in there for them as well. For your 2nd question… ya, you can always link from your website to any page on your own website or any other outside website that you want. So, you can put a link on the page… or even if you wanted to… you could have the visitor redirected to another website after they opt in to your form. It’s really flexible. Wehn you’re ready just head to https://oncarrot.com/plans/ and pick the one that makes the most sense for you. seems like the last time you had reports was Sept. 2013-i hope you are still in business! But as far as reports to send to investors, are you talking about educational reports to help real estate investors? Or are you talking about reports that real estate investors can put on their websites for buyers, sellers, tenants, etc? Either way, our system has free reports built inside of it that our active members can use when they’re active members. We don’t publish those types of things for free on our blog, but you can access them as a member for sure! I hope that helps answer your question a bit! If not reach out, we’re here for you.